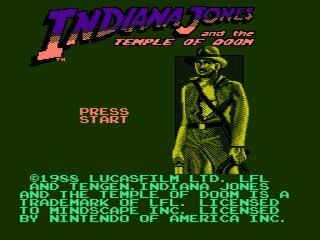 Released in December 1988, follow Indiana Jones on his second adventure in this game. He is stuck in the Temple of Doom and must save children, ride mine carts, and recover the three Shankara Stones in order to return peace to a small village in India. Best time: 0:04:49 by 'feasel' on 2014-03-13.